Wellcome Avenue has been a big point for discussion over recent times as the pedestrian right of way was overgrown with greenery and very difficult to walk through. 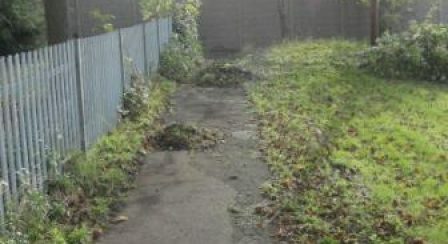 However, Councillor Avtar Sandhu Avtar Sanshu Wellcome Avenue along with Dartford Council arranged a project to help the residents of Wellcome Avenue by clearing the pathway. The project was achieved by Avtar Sandhu joining with a Community Payback scheme to help tackle the problem. The group donned high visibility jackets and took to the pathway to clear the greenery barricades with shears and shovels. The project helped both the community and the individuals partaking in the community payback scheme - the walkway is clear for all to use and the individuals that took part played a vital role in helping to support and enhance the community, at the delight of the residents of Dartford.